Crossroads Community Church in Parker, Colorado hosted their annual MISSIONS FAIR in early September. We are blessed to be one of the many Missions that their church supports on a monthly basis. They support missions all over the world and we feel blessed to be a part of this blessed body of believers. We flew to Denver & were picked up by Donna & Phil Varnak, members of Crossroads & Mission San Felipe churches. it is due to the Varnaks eagerness to share about Sonshine Hacienda that Crossroads came to know about our home for children. The Varnaks were wonderful hosts & we enjoyed our time with them in their home. We also enjoyed getting to know the other Missionaries that attended the conference. The people who attend Crossroads are fantastic as well. They were all eager to hear about our work and how things were progressing since the last time they had seen us. There are four services in total each weekend. 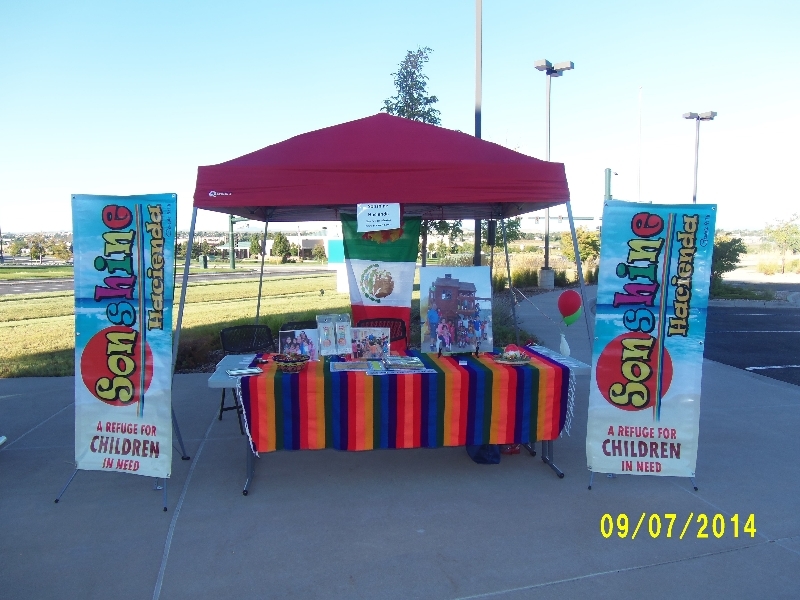 We set up a booth with our Sonshine banner, photo album of pictures and Mexican candy. After each service the people would come out and visit each booth and get to know us. This is a church that believes in Missions. They dedicate a large portion of their annual budget to their Mission projects; God Bless them. We are very excited because a group of 38 of these members are coming down to work with us in mid October. What a great blessing that will be for all of us. 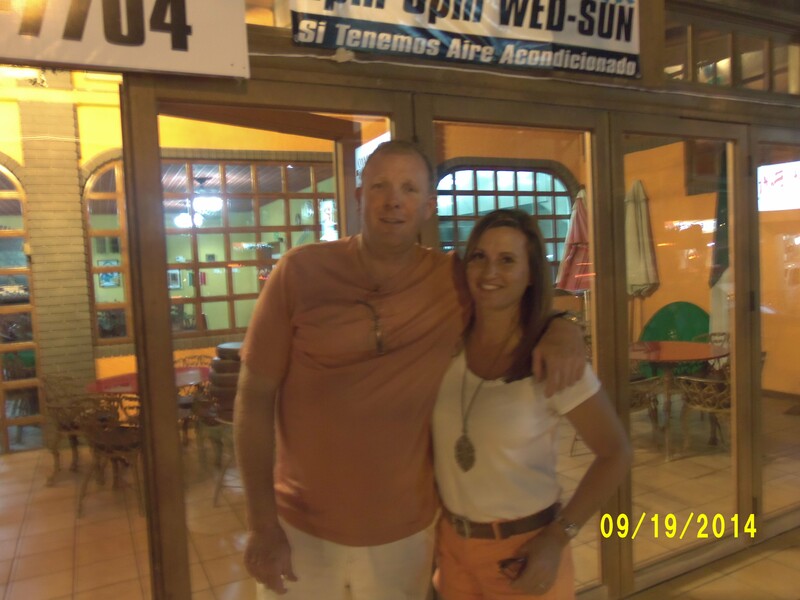 Rick & Deanna Classon from the Roseville area of California have been wonderful friends of Sonshine Hacienda for about three years. 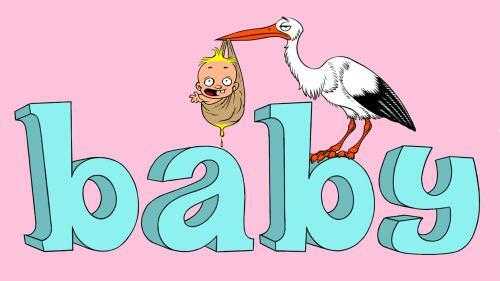 They are full of energy, wonderful ideas, and love our children as much as we do!! This past week they came to Sonshine with their vehicle loaded down with loads of food, items on our "needs list", and toys that I tucked away for Christmas. Our cup runneth over after a visit from Rick & Deanna. This trip was a little different. In addition, they brought their paint clothes and the following day, they showed up prepared to paint our largest room at Sonshine Hacienda…our Great Room. This room is used daily…all day long. We eat, study, play, watch TV, pray…you name it, we do it in the GREAT ROOM. They began to prep the room at 11:30 am and finished at 4:00 pm. That included painting the door and window trim. The room looks amazing. It is a soft blue color that is so relaxing. When I enter the room, I immediately think of the ocean. What a duo they are. Amazing. A big thank you to Rick & Deanna. The next day, the Classon's invited all of us out to El Dorado Ranch to swim in their pool. It was great because they had a Kiddie Pool and a shallow end of their adult pool. Deanna had a great time teaching the kids how to swim. What fun it was for everyone. Sometimes you have to make tough decisions. But when it comes to our children here at Sonshine, they will always come first, even if it means more work and inconveniences for us & our staff. 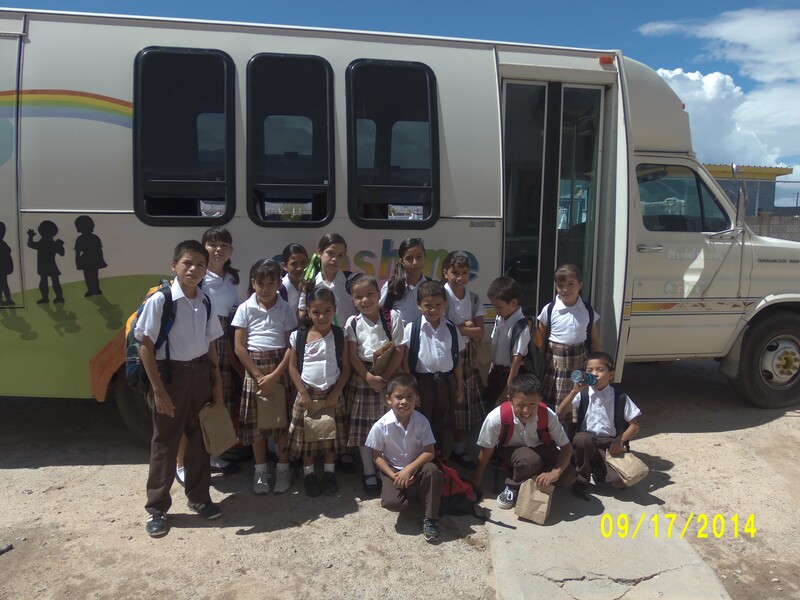 On August 18th, we moved the majority of our elementary children to a new school that is quite a distance from Sonshine Hacienda. So now we bus our children to 4 different schools each day…Kindergarten, Elementary (pictured above in their new uniforms), Secondary (Jr. High) & CAM (school for special needs children. That is a lot of driving. We hired an extra employee just to drive and pick up these children. Of course, the hours of each of these different classes are different. I actually have the school schedule written down so that I can keep it all straight. Yes, we have messed up and forgotten to pick someone up…I won't mention his name!! The reason for the change was that at the school in Las Minitas (literally one block from Sonshine Hacienda), the school was canceled very frequently and often the teachers just did not show up. The school was 1st thru 6th grade, but only had two teachers. So there was little to no individual help or attention. So even though our children were getting good grades, they were not learning equal to the children at the other schools; thus, we made our decision. We spent a great deal of our time this summer tutoring our children in math, reading and other basic skills. Hopefully it was enough to help them "catch up" and put them on equal footing with the other students in their classes. THERE IS AN EXPRESSION IN SPANISH: "VALE LA PENA", WHICH MEANS " IT IS WORTH THE EFFORT". Amen to that!! 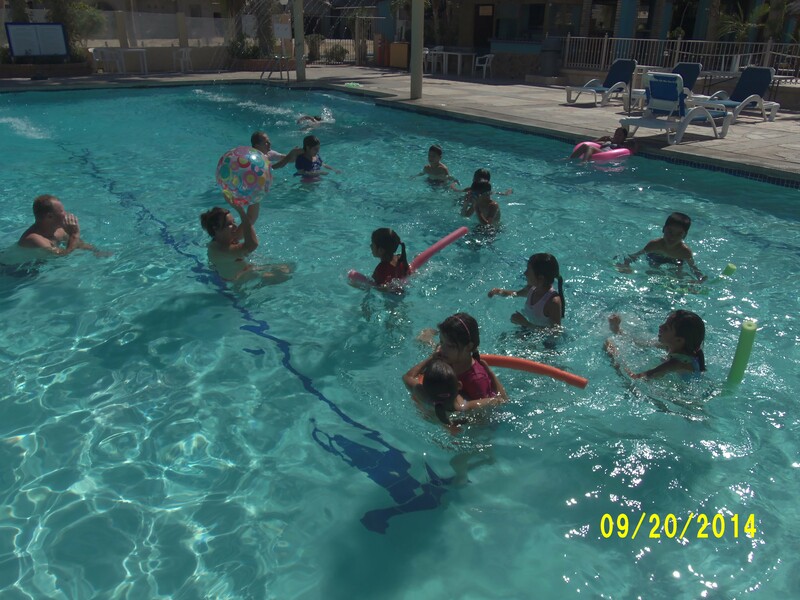 The children always have a great time at the pool.